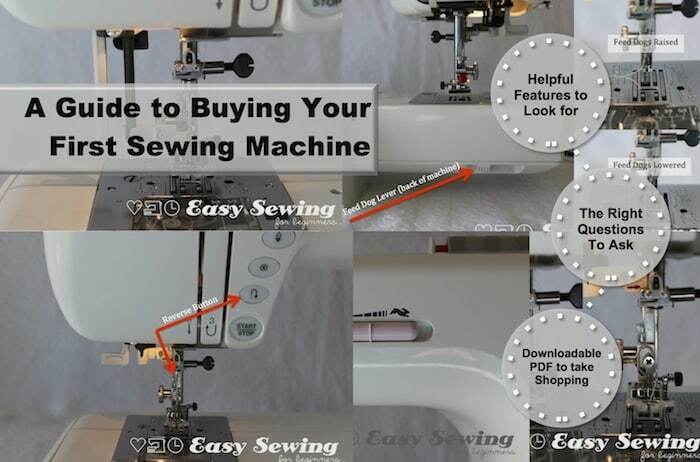 You can watch the video for how to thread a Janome sewing machine or read the step-by-step instructions below. In my experience I have found that many sewing machines are threaded in a similar way. There are some slight differences with thread guides that, if they are missed, may impact the timing on you machine. 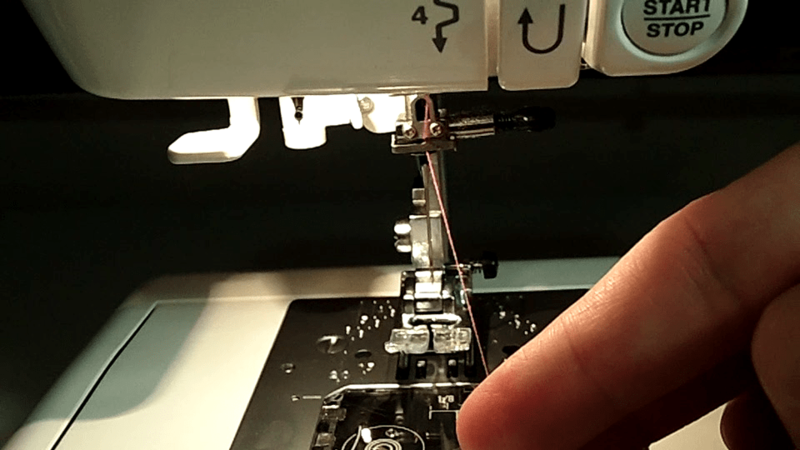 This is why I created a video and instructions for how to thread a Janome sewing machine in particular. Place your thread onto the spool pin and secure in place with the spool disk. place the thread around the bobbin thread guide at the top of the machine (there should be a picture diagram at the top next to the bobbin thread guide). Put the thread through the hole on the bobbin going from the inside to the outside. hold the end of the thread with your finger tips while you push the bobbin onto the bobbin spindle. 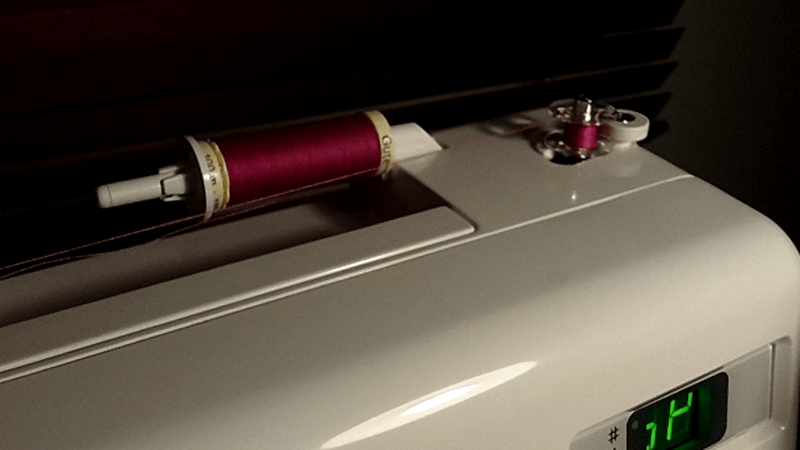 Push the bobbin spindle over to the right to engage the automatic declutch function (this automatically stops the needle from going up and down). Some older machine may also require you to pull out the hand wheel if you don’t have the automatic declutch function. 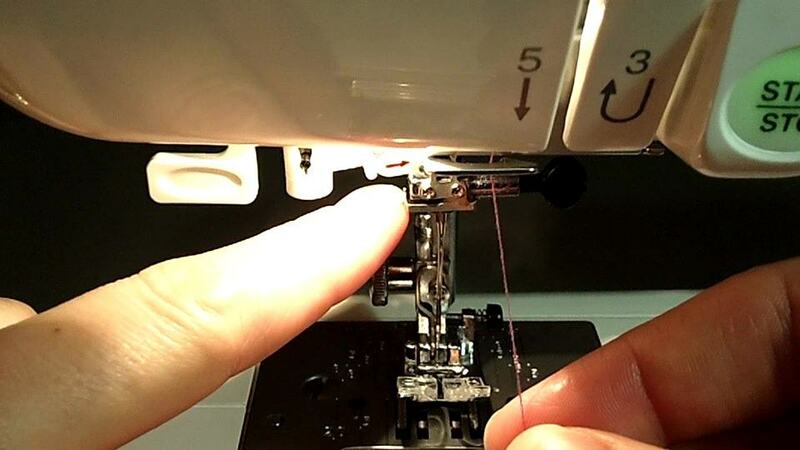 Press the foot pedal and wind until you have the desired amount of thread on the bobbin. Remove the bobbin from the spindle and snip the little piece of thread from the beginning of the winding process and cut the thread to detach the bobbin form the rest of the thread on the machine. Take your thread out from around the bobbin thread guide and place it around the thread guide at the top of the machine. run the thread down the line on the front of the machine and under and to the left and head back up the thread guide towards the take up lever. put your thread through the hole at the front of the take up lever. 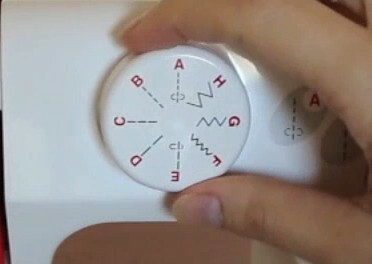 There should be a little gap at the back of the take up lever for you to slide the thread through easily. Run the thread back down the same thread guide line that you just came up until you get to the bottom of the plastic casing of the sewing machine. There should be another thread guide that you will need to slide the thread behind. At the top of the needle bar there will be one last hook to the left that you need to slide the thread behind. Use the automatic threader to put the thread through the eye of the needle or do it by hand. Remove the hook cover plate (or the bobbin cover) from the top loading bobbin case. hold the bobbin so the thread is going in a counter clockwise direction and insert it into the bobbin casing. Run the thread through the first thread guide groove and in between the tension spring blades. while holding the top thread, turn the hand wheel towards you. you should see the top thread going over the bobbin. Once the top thread has gone all the way over the bobbin, gently pull the top thread and that should bring the bobbin thread up with it. ensure that both pieces of thread are under the foot and place towards the back of the machine. If you are unsure of any of these steps you can watch the clear step by step instructions in the video. 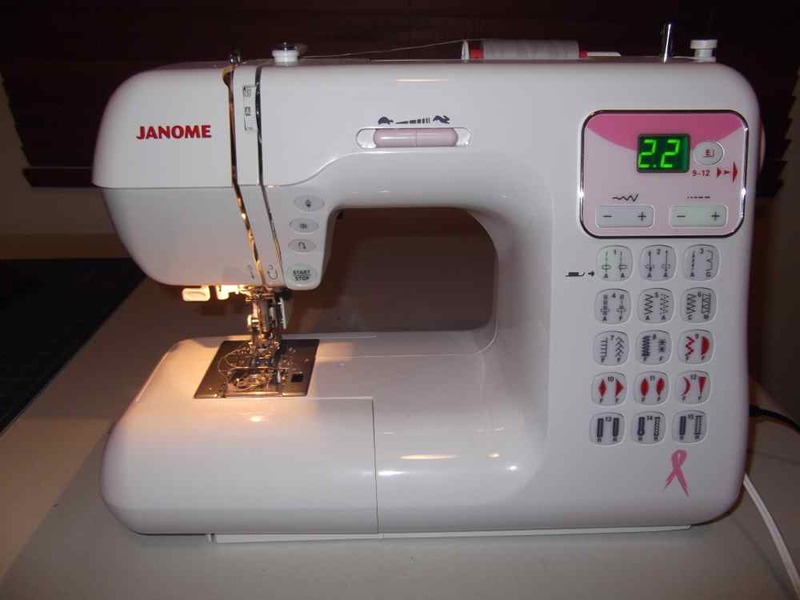 You now know how to thread a Janome sewing machine well done! Thank you for this very helpful page. I haven’t sewn for years and forgot how to do my bobbin. Haven’t got the manual anymore and my memory didn’t help me, so your page got me through it. Thanks again. My pleasure! Glad I could be of some help. A very clear video that confirms I am doing the right actions with the auto threader but 99 times out of 100 I can’t get it to work. Even with my glasses on I just can’t thread manually any more. It’s so frustrating Cos you can’t sew without having the needle threaded. Any idea what the problem is? 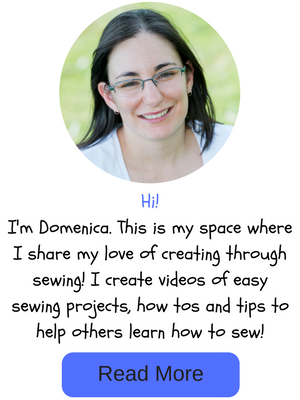 After struggling with autothreading even after watching your video I think that the vital missing piece of info is MAKE SURE YOU USE A NEEDLE between the SIZES 11- 17 . It doesn’t seem to work with needles outside this range. This info IS in the manual but of course we don’t always see eevry single word when we are desperate to do something. When I was first learning how to sew, nothing in the manual made sense. The small wire tension thing that fits above the needle has come off and I have no idea how to put it back on can you please help . I’m afraid I’m not sure how to fix that. I’d recommend taking it in to your local sewing machine specialist to check out. I’m not sure what you mean. Can you give me some more detail? My wife passed away several months ago & I can’t for the life of me find the manual for her Janome. I think your brilliant guide will get me past first base. sorry to hear of your wife’s passing. Glad I could help with you getting past first base with the sewing machine ? I am having trouble with the spool holders. My janome 5812. came with two spool holders small and large. I am using a large spool of thread. Which end goes into the …..(shaft?). It does not hold the thread tight. Do you have a vertical spool holder? That might be a good solution if your spool of thread is too large.